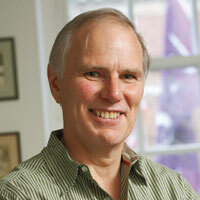 Philip Alston’s teaching focuses primarily on international law, human rights law, and international criminal law. He co-chairs the NYU Center for Human Rights and Global Justice. In the field of international law, Alston was editor-in-chief of the European Journal of International Law from 1996 through 2007, and was previously co-editor of the Australian Yearbook of International Law. He was a co-founder of both the European Society of International Law and the Australian and New Zealand Society of International Law. As a United Nations official, he worked in Geneva on human rights issues from 1978 to 1984. He has worked as a consultant to the ILO, the UNDP Human Development Report, the Office of the UN High Commissioner for Human Rights, UNESCO, OECD, UNICEF, and many other inter-governmental and non-governmental organizations. Other posts he has held include chief-of-staff to a cabinet minister in Australia in the Whitlam Government (1974-75), and Discrimination Commissioner for the Australian Capital Territory for three years. In the human rights area, Alston was appointed in 2014 as the UN Human Rights Council’s Special Rapporteur on extreme poverty and human rights and has visited and reported on Chile, China, Mauritania, Romania, and Saudi Arabia. He was previously UN Special Rapporteur on extrajudicial, summary, or arbitrary executions from 2004 to 2010 and undertook fact-finding missions to: Sri Lanka, Nigeria, the Democratic Republic of the Congo, the Philippines, Israel, Lebanon, Albania, Kenya, Brazil, Central African Republic, Afghanistan, the United States, Albania, and Ecuador. He was a member of the Group of Experts on Darfur appointed in 2007 by the UN Human Rights Council, and was special adviser to the UN High Commissioner for Human Rights on the Millennium Development Goals. He chaired the UN Committee on Economic, Social, and Cultural Rights for eight years until 1998, and at the 1993 World Conference on Human Rights he was elected to chair the first meeting of the Presidents and Chairs of all of the international human rights courts and committees (including the European and American Human Rights Courts and the African Commission). He was UNICEF's legal adviser throughout the period of the drafting of the UN Convention on the Rights of the Child and directed a major project funded by the European Commission, which resulted in the publication of a Human Rights Agenda for the European Union for the Year 2000 and a volume of essays on that theme. In 2010-11 he was a member of the Independent International Commission investigating human rights violations in Kyrgzstan.